Ranked the UK’s 02nd Most Inclusive Employer, West Midlands Fire Service (WMFS) is the second largest Fire and Rescue Service in the UK. They protect and serve a population of nearly 3 million people in the West midlands covering the cities of Birmingham, Coventry, Walsall, Wolverhampton and Dudley. The population they serve is extremely diverse with a rich cultural, faith and ethnicity diversity as well as areas of extreme social deprivation. Evidence shows West Midlands Fire service has carried out a ground-breaking overhaul of its recruitment process for fire fighters. Working towards ambitious targets for diversity in recruitment of a long term goal of 60% female and 35% BAME of new starters, they have been cited as the gold standard in Fire and Rescue Service Recruitment by the Home office. A sophisticated social media campaign supported by tailored interventions among underrepresented groups has yielded fantastic results, meaning their recruit intake this year has been more diverse and more representative of their local communities than ever before in the history of the UK fire service. Since January 2018, WMFS have employed 85 new entrant firefighters, 27 (33%) women and 26 (32%) BAME. The most recent course commenced in August 2018 where they saw a further increase in representation from target groups. They have a dedicated recruitment and selection officer who designs and runs prerecruitment sessions for underrepresented groups, fitness advice, interview coaching and talks from role models within the organisation. Their selection panels are trained to be aware of unconscious bias and they have a real time quality assurance system. WMFS changed the nature of behavioural assessment to include group discussions and roleplay exercises rather than the focus on the traditional interview situation. All parts of the process are carefully analysed to look for any adverse impact and then if any is detected, they put measures in place to reduce or remove this impact. WMFS’s success has attracted a lot of media attention both locally and nationally, and due to this pioneering work, their attraction and selection officer has been appointed as positive action lead for the Asian Fire Service Association. In addition, they have introduced a cutting-edge online training package including a powerful video to raise awareness of modern slavery and trafficking, and what to do if employees encounter someone who they believe is being trafficked or is in a slavery situation. WMFRS have been sharing this with other Fire and Rescue services and members of their fire prevention team are supporting police to deliver this. The organisation has a wide range of community initiatives. Their deaf team (a team of firefighters who are all sign language speakers) have been involved in a Sign2Sing project in local schools being the only blue light service in the West Midlands to support this project. The project promotes the use of sign language and allows deaf children greater access to music. Fire Crews from Wolverhampton have been working with a local support group for women who have been victims of domestic violence, receiving detailed training but also working to help women feel safe in their homes in a sensitive and respectful way. Crews from Coventry worked with a local Mosque to raise awareness among the older Muslim community and held a joint charity car wash with members of the mosque working alongside the fire fighters. Fire crews from central Birmingham worked with local community groups to raise awareness around road safety among young Asian male drivers whom are at greater risk of having a road traffic accident, this has helped reduce death and injury among that community. As part of this they attended an EID celebration attended by 140,000 people and appeared on Unity FM, a local BAME radio station. 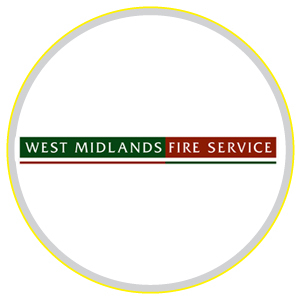 West Midlands Fire Service has a community members scheme with over 2000 members of the local community signed up to help with consultation and involvement in shaping their Fire Service. This group has a very diverse membership and helps the service respond to the needs of its community. This brilliant organisation has developed and delivered a range of networks, including Affinity – women’s support group; Inspire – Black Caribbean group; Dyslexia support group, who work to support fellow dyslexic employees; Asian Fire Service Association (AFSA) and FireOut – their LGBT support group. Furthermore, over 70 employees have been trained as mental health first aiders and all stations have been implemented with a dignity room to allow employees to observe religious practice. With the help of Muslim employees, WMFS have developed clear guidance for operational Muslim fire fighters who are fasting and are exploring ways to remove barriers for those of a faith that require a beard to become an operational fire fighter, as well as exploring suitable head wear for Muslim female fighters that would allow breathing apparatus but meet their faith needs. West Midlands Fire service should be proud of the progress they have made towards creating an inclusive workplace. Their new approach to recruitment has far exceeded expectations and is creating a much more diverse workforce. Their stakeholder groups are growing in influence and impact and they continue to put community engagement at the heart of what they do.